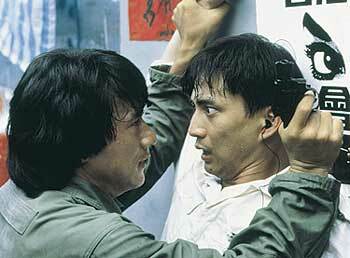 Jackie Chan’s first big contemporary hit set a new standard for modern action films. Jackie is a heroic cop framed by a mobster and forced to take revenge. The film opens with a car chase through a shanty town in which Chan stops a double decker bus with his revolver. Directed by Jackie Chan. Starring Jackie Chan, Brigitte Lin, and Maggie Cheung. RED HEROINE/LIVE MUSIC SOUNDTRACK DEVIL MUSIC ENSEMBLE (1929) 94 minutes. 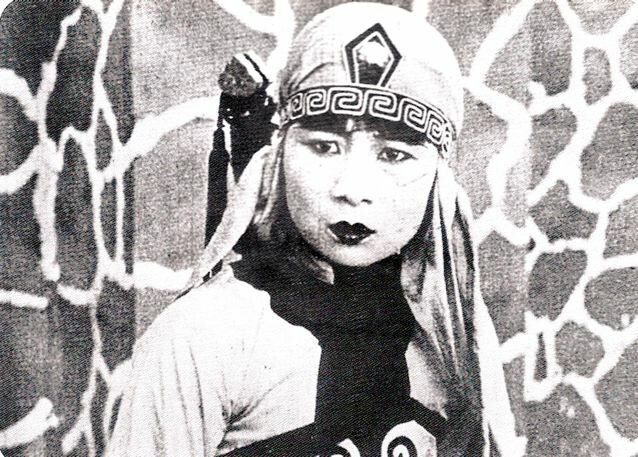 This silent film from 1929 is the oldest complete swordplay (wuxia) film in existence. It’s also a good example of the classic “nu xia” or “female knight” plot, as the young heroine learns to fight the bandits who have taken over her town. Directed by Wen Yimin. 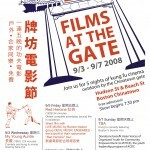 Starring Fan Xuepeng and Xu Guohui. A live music soundtrack performed by Devil Music Ensemble. THE 36TH CHAMBER OF SHAOLIN (1978) 119 minutes. When people talk about old school kung fu movies—they mean this one. Also known as MASTER KILLER, from its dubbed-in-English 1980s video release. 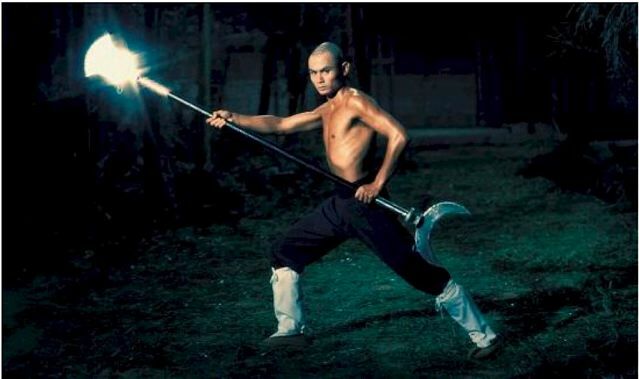 Gordon Liu (KILL BILL) plays San Te, a Shaolin monk who masters the 35 training chambers of Shaolin kung fu and persuades the monastery to open a 36th chamber in order to train lay students to fight the oppressive Qing government (thereby setting up a scenario played out in countless kung fu films). Directed by Lau Kar-leung. Starring Gordon Liu. 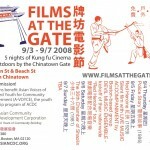 A kung fu comedy about the childhood of one of China’s most famous martial arts heroes, this film features Boston’s Donnie Yen. The citizens of a small Chinese town suffer from failed crops and corrupt officials. Their salvation comes in the form of a Robin Hood figure, the Iron Monkey, who steals from the rich to give to poor. When martial arts master Wong Kay-ying arrives, his martial arts skills lead local lawmen to suspect that he may be the masked outlaw. Wong’s son, Wong Fei-hung, is caught in the line of fire as he fights to clear his name. In the end, Wong and the Iron Monkey must join forces to face the real villain of the piece. 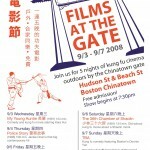 Sunday’s film was preceded by a 10 minute performance by Bow Sim Mark Tai Chi Arts Association and Rick Wong’s Chinese Martial Arts. Here’s a look at our final evening: a time-lapse video showing the vacant lot transformed into a movie theater (and then back again).